In this 9 hours of pre-recorded video learning sessions that you can watch at your convenience, Dr. Judith Orloff gives empaths and sensitive people a hands-on resource for learning the skills they need to become healthy and empowered in a world that is often coarse, heartless, and disdainful of empathy. It also includes guided meditations, weekly practices, questions for reflection and personal journaling. 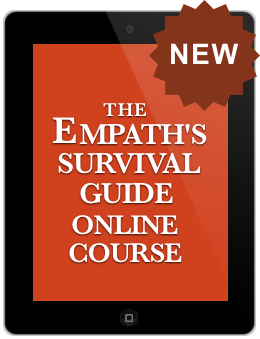 The Empath’s Survival Guide Online Course offers empaths practices for overcoming the challenges of highly sensitive people—and unlocking their unique empathic gifts. 8 CE credits are available for healthcare professionals. To be emotionally free you can’t remain naïve about relationships. 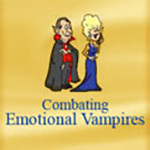 In this online course from Dr. Judith Orloff you will learn how to recognize and protect yourself from what she calls emotional vampires. This 14 lesson course will help you to recognize the different types of vampire personalities, ascertain if you have one in your life and then give you valuable tips to use immediately on how to protect yourself from being drained. Are you longing for your life to be easier with more fun and less drama? What if you could live in “the zone,” propelled by intuition toward the right people and opportunities? 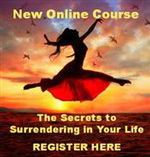 If you want lasting positive change, prepare to experience the ecstasy of surrender. 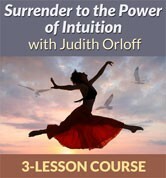 In this 3-lesson downloadable Hay House course, based on her national bestseller The Power of Surrender Dr. Judith Orloff shows you how to apply the practical and mystical tools of surrender to let go more deeply to your inner voice without doubting yourself. You’ll identify where you’re clinging to old patterns of behavior that don’t serve you and how to stop absorbing the stress or negativity of others. Each lesson focuses on a specific area of intuition including Reading People & Communication, Relationships & Love, and Success & Abundance.